An old chestnut tree in Amsterdam which features in The Diary of Anne Frank is to be cut down. The tree provided comfort to Anne Frank as she was able to see it from the house where she hid for more than two years during the Nazi occupation. The Amsterdam authorities say the tree is deteriorating badly after it was attacked by a fungus. 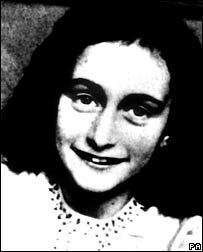 The Anne Frank museum says grafts have been taken and a sapling from the original will be planted in its place. "We are sad but we think the tests were clear and it's not safe to leave the tree," Patricia Bosboom of the Anne Frank Foundation told news agency AFP. It will be weeks before the Amsterdam city council issues a licence to fell the tree. Ms Bosboom said the foundation would not protest against the felling of the tree. "They did what they could, it will be strange when it is no longer there, but the tree could not be saved," she said. The tree, estimated to be more than 150 years old, has been in a bad condition for years. It sits in the garden of a canal house that is overlooked by the attic where Anne Frank, a 13-year-old German-Jewish girl, hid to escape the Nazis. She kept a diary of her cramped life and her bid to evade the Nazis during World War II. But her family was betrayed and she died in Bergen-Belsen concentration camp shortly before the end of the war.